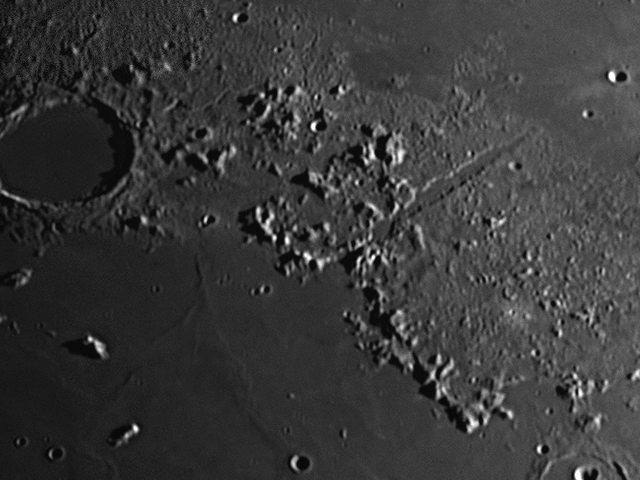 Below is a quick lunar mosaic captured by DSSR after focusing by DFM. It shows nice detail from a Nexstar 4SE 4″ telescope with 2.5x PowerMate which results from accurate and objective focusing. There is even a hint of the central rill in the Vallis Alpes – I think (see detail below). Click on the image for the full size version or check out the Zoomit version.